Forsyth Piecers and Quilters Show tomorrow! I still can’t believe I passed on the Charlotte show last weekend, so I’m headed to Clemmons, NC, tomorrow to make up for it! 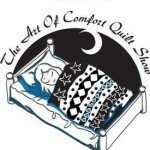 140 quilts and 20 vendors, that ought to do it! Filed under craft show |	Comments Off on Forsyth Piecers and Quilters Show tomorrow!